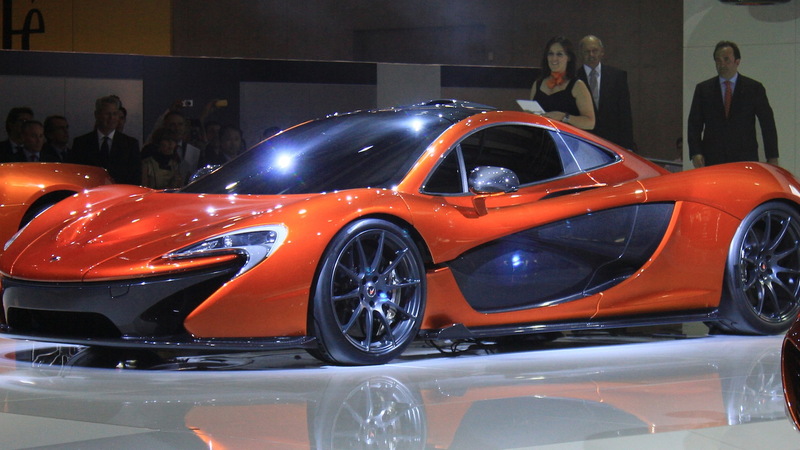 We’ve seen the studio shots and guessed at all the specs, but here is the McLaren P1 supercar in all its glory, these photos coming direct from its debut just moments ago at the 2012 Paris Auto Show. This is the first auto show appearance for McLaren, the automaker, and we can’t think of a better car with which to highlight its debut. McLaren makes no secret of its primary design goal for the P1: for it to be the best driver’s car in the world--both on the road and track. Note, this means that the P1 won’t be challenging the Bugatti Veyron for the production car land speed record, but it could potentially be the world’s fastest accelerating car money can buy. Right now, many of the car’s specifications are being kept secret. 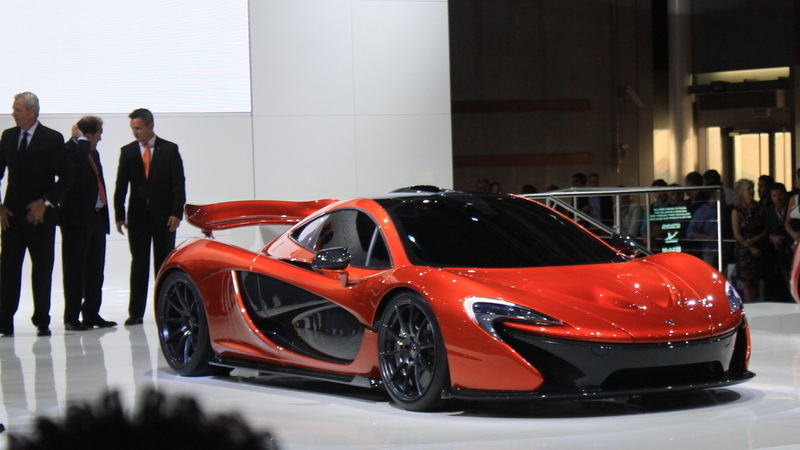 In fact, the P1 on display in Paris isn’t actually the final production version, but a concept. We hope you like the styling, however, as a leaked patent drawing as well as comments from company insiders suggest the production version will look very similar to the concept you see here today. The McLaren P1 leverages five decades of McLaren’s motorsport skills, including inspiration from the legendary F1 supercar it will soon succeed. It was designed from the outset to prioritize aerodynamic performance and thus has spent many hours in a wind tunnel and using CFD (computational fluid dynamics) aerodynamic modeling--just like in Formula 1 racing. So what has that achieved? Well, McLaren boasts the P1 develops in excess of 1,320 pounds of downforce before reaching its top speed, and its frontal area is smaller than any other supercar on the market. Its coefficient of drag is 0.34, which is very low considering the enormous levels of downforce. We still don’t have the details on the powertrain, but McLaren is adamant each horsepower the P1 generates will only have to carry around 3.7 pounds or less. By comparison, each of the Bugatti Veyron’s horses have to carry around 4.5 pounds. How the P1 will generate its power remains a mystery, though the smart money is on McLaren using an uprated version of its twin-turbocharged 3.8-liter engine found in the MP4-12C. A KERS hybrid is also expected, helping to give the car an additional boost when required. Combined output could end up being 800 horsepower or more. As for the design, it’s strictly shaped by aerodynamics. Every panel, air intake, and air exhaust was designed to guide in air from the most efficient places and to maximize cooling. A large rear wing is also fitted and adjusts automatically to boost downforce and optimize aerodynamics. It can extend rearwards by up to 300 millimeters on a race track, and by up to 120 millimeters on the road. The pitch of the rear wing can increase by up to 29 degrees. The double element rear wing profile has been developed using exactly the same methods and software as the current McLaren F1 car. The McLaren P1 also has a DRS (drag reduction system) function, like an F1 car, to reduce downforce and increase straight line speed. But while a F1 racer’s has a moveable flap in the rear wing, the McLaren P1’s rear wing’s pitch is adjusted. In addition to the adjustable rear wing, the McLaren P1’s aerodynamic performance is optimized using two flaps mounted under the body ahead of the front wheels. These are also actively controlled, and change angle automatically to optimize performance, boosting downforce and aero efficiency, increasing both speed and driver confidence. The flaps operate through a range of 0-60 degrees. The final tidbit of information, the P1 gets a new MonoCage structure that uses the carbon fiber monocoque and roof structure to form a strong safety cage. The structure of the MonoCage, unlike the 12C’s MonoCell, also serves to guide air into the engine through an integral roof snorkel and air intake ducts, saving further weight. All the body panels are carbon fiber to reduce weight. 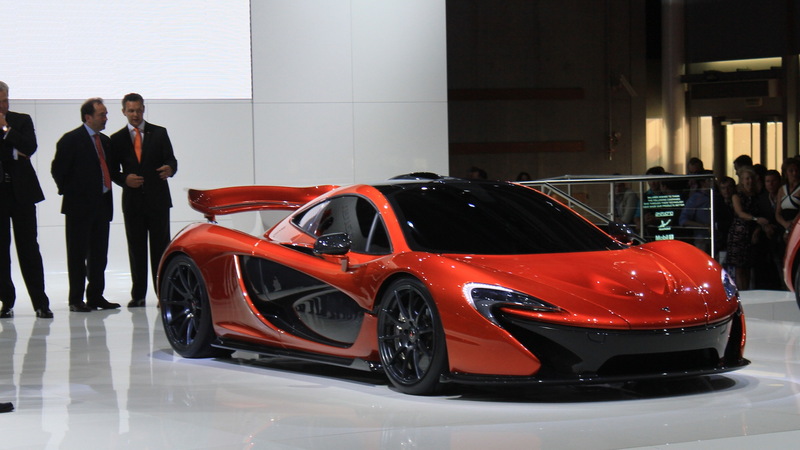 Sales of the P1 commence in the next 12 months. 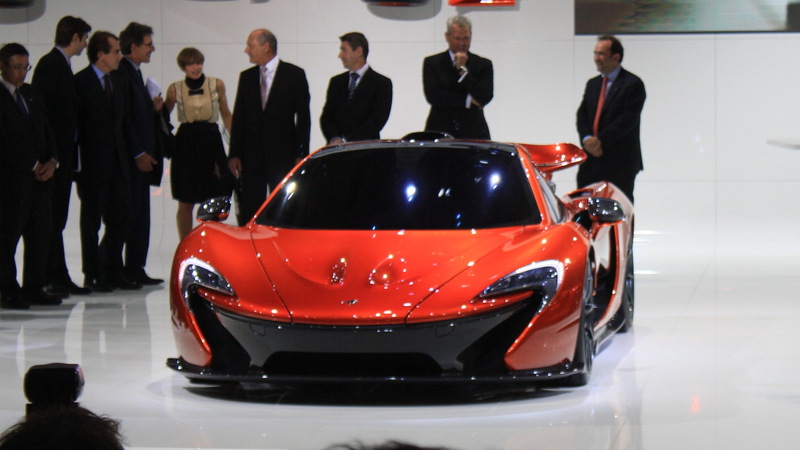 We're likely to see a reveal of the production version in the near future, most likely at the 2013 Geneva Motor Show next March. 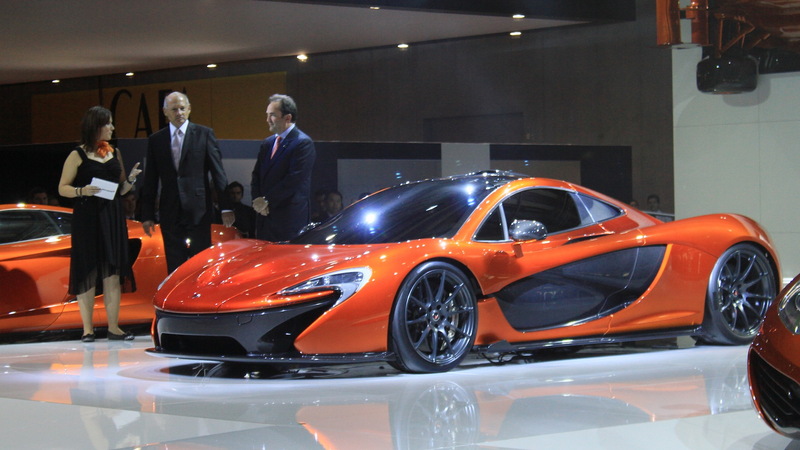 Its launch will coincide with McLaren's 50th anniversary.